Goshamahal BJP MLA Raja Singh stirred yet another controversy. Pakistan Army accused this Legislator from Telangana of copying their song. Spokesperson of Pak Armed Forces Major General Asif Ghafoor told: 'Glad that you copied. But copy to speak the truth as well. #PakistanZindabad'. He ridiculed BJP MLA in that way for allegedly placing Hindustan Zindabad in place of Pakistan Zindabad in the song. Guess, How did Raja Singh respond on the accusation? The Firebrand Leader shot back: 'Good to see even #Pakistan media is covering my song #HindustanZindabad. I'm more surprised that even a terrorist nation produces singers. #Pakistani singer's may have copied my song, we don't have to copy anything from a terrorist state like Pakistan'. Raja Singh's Video and Pakistan Army's Response went viral on social media. 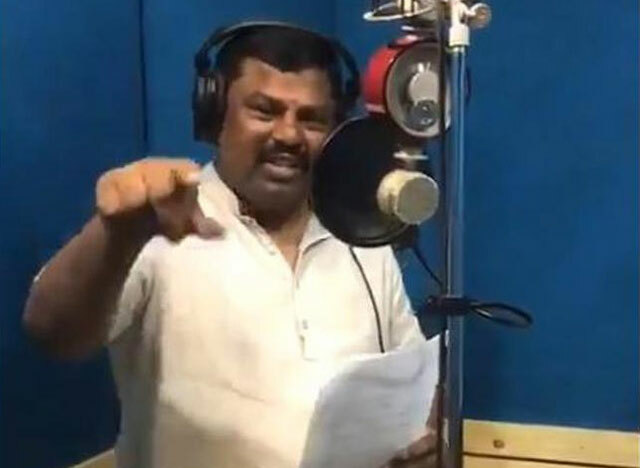 While the Pakistan Song was unveiled on March 23rd on the eve of Pakistan Day, The BJP MLA called off his plans to release his song after the allegations of plagiarism.